The Beauty Specialist! 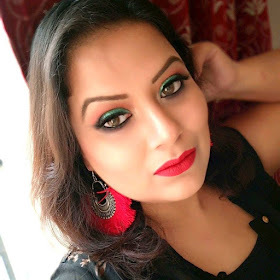 Tejinder wrote an amazing review on Maybelline superstay 10H Tinted gloss in Shocking Pink. Idée Fixe : is sharing her Current Obsession. Girls Corner : About how Orange is useful for skin. Celebrating Feminity : Open up your eyes with the new mascara on the block ! Our External World : Need a solution for facial hair removal but in the privacy of your own home, check out this post that helps you do just that! Cute nails : Checkout Puja's new myntra.com haul..
Apoorva Writes : First try at coloring hair at home.